HARRISON, Ohio - Police are on the lookout for a troubled couple who abducted their baby from a court-ordered guardian Wednesday. 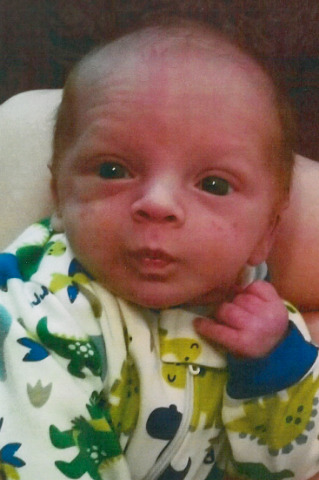 Clint "Roach" Reidmiller and Kelly Schmid took 2-month-old Cobain Reidmiller from his maternal grandmother on N. Hill Street, according to a news release from Harrison police. “Schmid's drug addiction and Reidmiller's violent tendencies” caused the child to be place with his grandmother, police said.